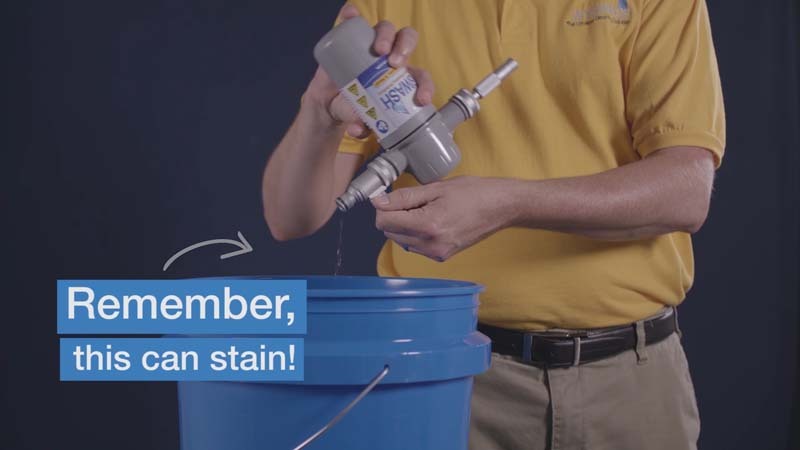 Draining is key to keeping your Wysiwash unit in good shape. Drain Wysiwash every time you use it. NOTE: Take caution to avoid contact with clothing while draining - the drained solution is more concentrated and may stain. Rinse the area where Wysiwash has been drained to avoid chemical spots. Step 1: Make sure the Flow Control Valve is Off. 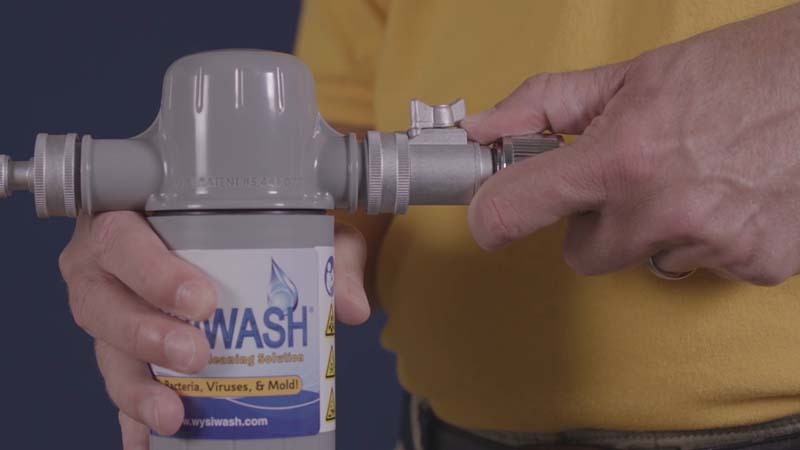 Step 2: Disconnect the Sanitizer-V from the Female Quick Connector by sliding the "neck" of the female toward the hose side again to release. 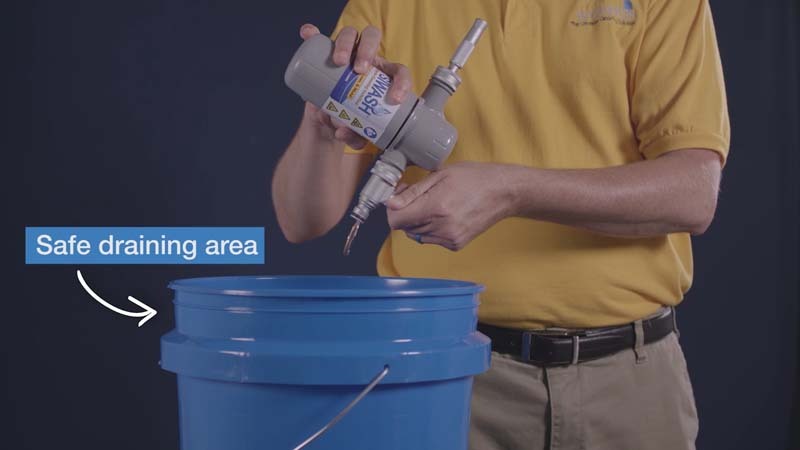 Step 3: In a bucket, drain, or sink, turn the Sanitizer-V upside down and point the valve downward. Step 4: Turn the Flow Control Valve on to allow the solution to drain. The bottom of the Caplet Container, should be pointed upwards at a slight angle. This allows water to drain from the bottom of the Caplet Container. Step 5: Store the Sanitizer-V in this position to maximize the life of your caplets.